Our holiday service includes arranging wheelchair assistance and flights from any UK Airport, wheelchair adapted taxi transfers, mobility equipment hire, guaranteed adapted rooms. More info on holidays for disabled people abroad. accessible beach holidays. We have a selection of accessible tours listed on our Accessible Tours Page. If what you are looking for is not listed our travel consultants have lots of experience creating bespoke accessible tours for clients. We have organised a variety of tailer-made accessible holidays from around the world trips to multiple country destinations to local country cultural tours all arranged to the customer's specifation and individual requirements. Call us on 0800 622 6000 to discuss your requirements. With plenty of accessible accommodation being added to our website everyday, you're guaranteed to find something perfect for you. Visit our recently added accessible accommodation page to view the great disabled friendly accommodation just added to our website. Advertising you accessible property with us is an excellent way to increase exposure of your property and potential bookings. We will design a full web page for your property and list it on our Owners Direct Page. Cruising offers a wheelchair accessible holiday experience to disabled people. We can suggest a variety wheelchair accessible cruise holidays for disabled people with excellent facilities. More info about wheelchair accessible cruising. Unmissable offers this Spring from Disabled Access Holidays! Don't forget to fill in the booking enquiry form located on each hotel page. Prices based on accommodation, suggested board basis, accessible transfers, and flights. * Please note: Price for dates exclude school holidays. See our full range of Special Offers with guaranteed adapted rooms here! Spain (Disabled Holidays > Destinations > ATOL Holidays > Spain > All Hotels Spain) All Spain Special Offers! 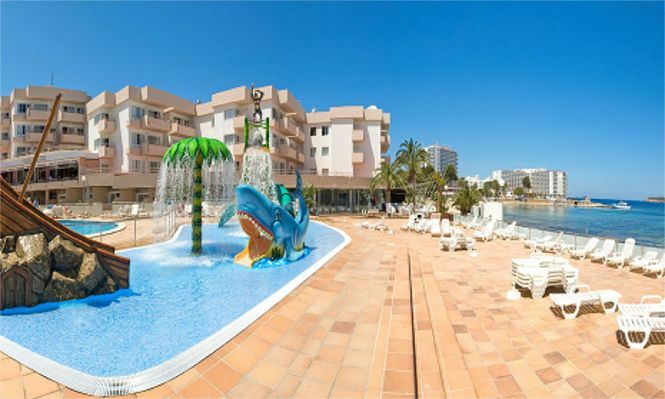 The new Sol House Costa del Sol is located on the seafront promenade, with direct access to the fabulous Playa de la Carihuela and its many chiringuitos (typical restaurants beside the beach) specializing in "pescaitofrito"(fried fish). 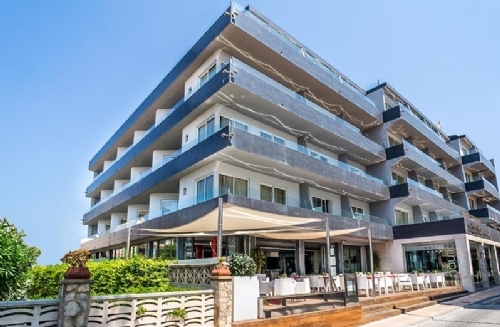 With a superb location, the Hotel Caprici Verd is at the beginning of the promenade of Santa Susanna. Slightly away from the local leisure centre, the hotel keeps the tranquillity and beauty of the town of Santa Susanna. 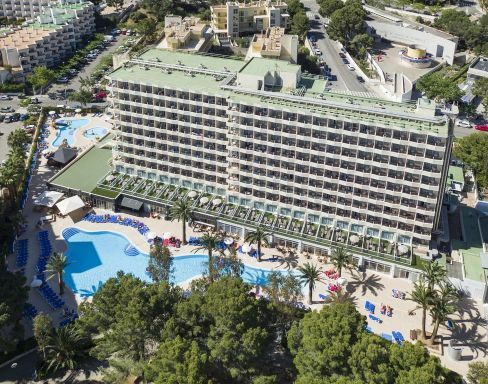 The Sol Palmanova All Inclusive is located just 400 metres from the magnificent Palmanova beach on the idyllic island of Mallorca. 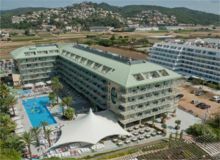 This wonderful complex is ideal for family vacations and getting to know one of the most the beautiful islands in the Mediterranean. 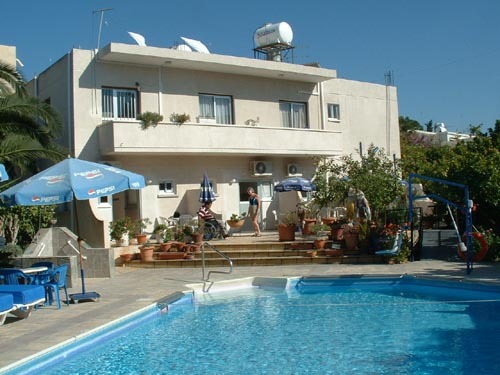 Positioned opposite the nautical club and ideally close to the shops, bars and restaurants. Guests can enjoy the local attractions including La PorciÃºncula (Church of Crystal), Palm Aquarium, Cathedral of Majorca and Castle of Bellver. Portugal (Disabled Holidays > Destinations > ATOL Holidays > Portugal) All Hotels Portugal) All Portugal Special Offers! 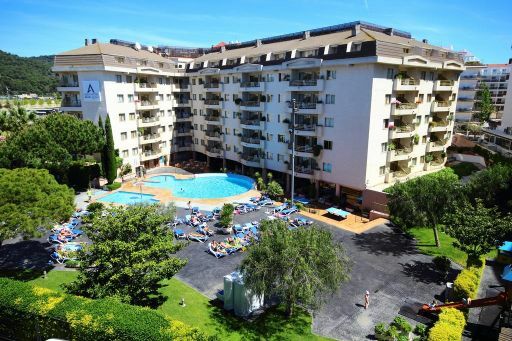 This aparthotel is situated in a quiet area of Albufeira and set in its own well-maintained gardens. It is wonderfully located, close to the city centre (around 4 km away), in the Montechoro district. Cyprus (Disabled Holidays > Destinations > ATOL Holidays > Cyprus > All Hotels Cyprus) All Cyprus Special Offers! This family run business has worked hard to convert this quiet residential property into a first class holiday centre for those with a disability. 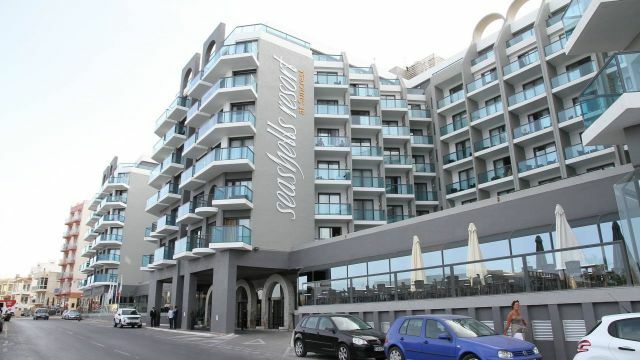 Nestled between the ancient harbour of Paphos-Cyprus and the beautiful sandy beaches of Coral Bay, the Capital Coast Resort & Spa is blessed with breath taking, uninterrupted views of the Mediterranean Sea. Florida (Disabled Holidays > Destinations > ATOL Holidays > All Hotels Florida) All Florida Special Offers! Katie's Villas are situated in a gated community with a private pool and pool hoist. 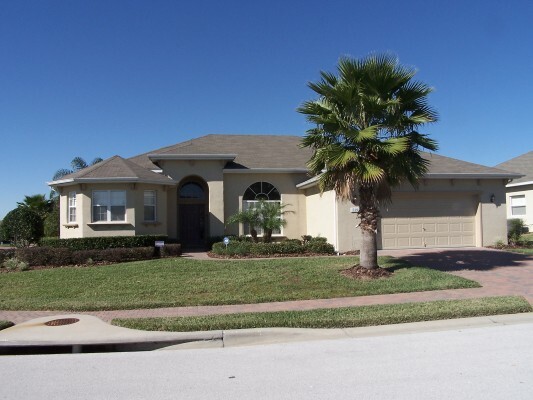 The villas are located within easy drive to all the shops, restaurants and theme parks. They are in a conservation area, so it is lovely and peaceful too. Malta (Disabled Holidays > Destinations > ATOL Holidays > Malta > All Malta Special Offers! The hotel is located on the seafront for fantastic views of the Mediterranean and the best sunrise anyone could hope to wake up to. 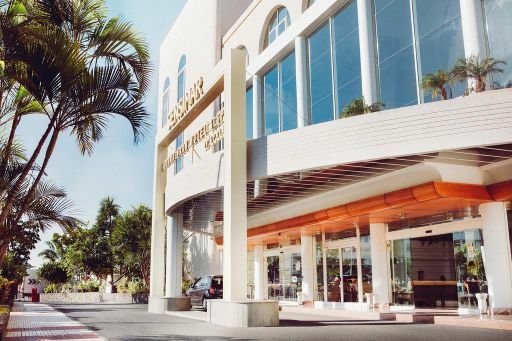 The Seashells Resort is conveniently located on the Salina to St Paulï¿½s Bay Promenade, merely a few minutesï¿½ walk away from the National Aquarium. 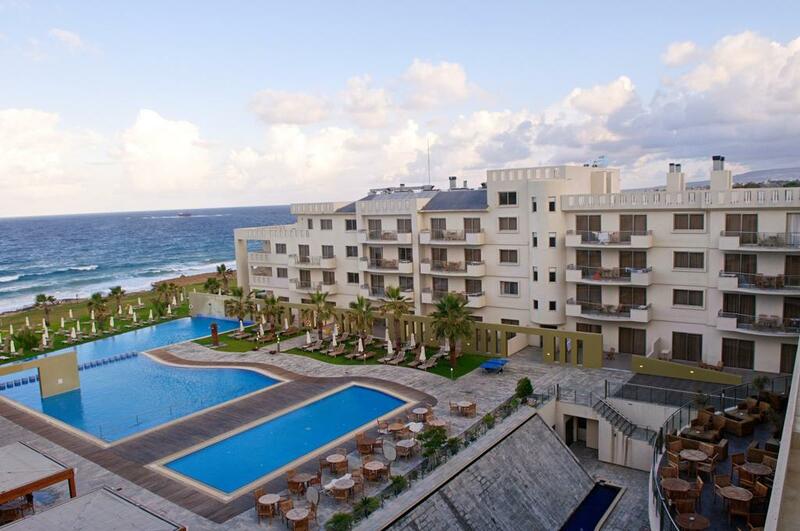 The Playa Bella complex, situated right on the beautiful Punta Xinxo beach, is one of the best known resorts on the island, and is ideal for families. 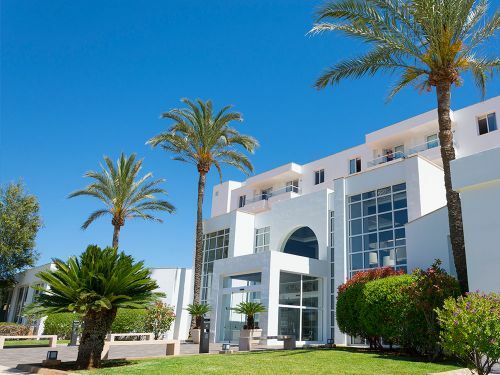 Located in a privileged area, just 17 kms to the Airport and near to the best beaches on the Island of Ibiza, the Apart-hotel Rosamar offers you the chance for an unforgettable stay in Ibiza. Tenerife (Disabled Holidays > Destinations > ATOL Holidays > Tenerife > All Hotels Tenerife) All Tenerife Special Offers! 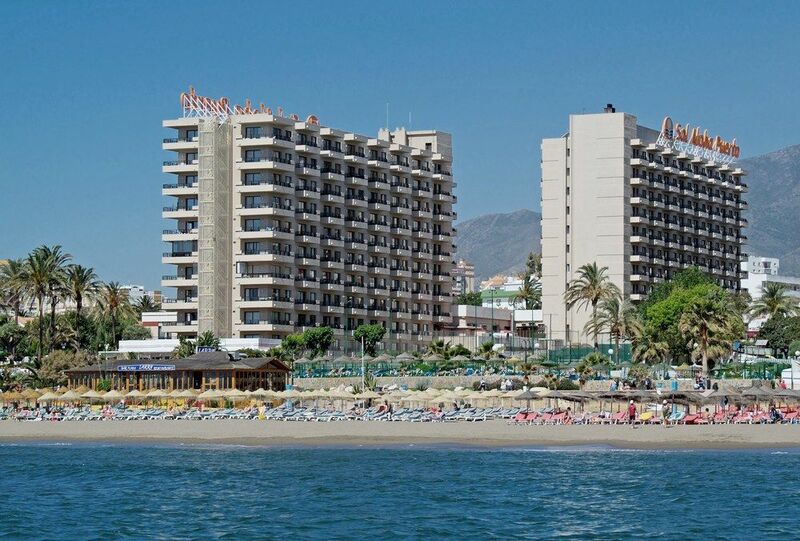 The accessible health hotel Mar y Sol is located in the southwest of Tenerife. A fully accessible, specialist property designed with the wheelchair-user in mind - featuring spacious apartments and studios. 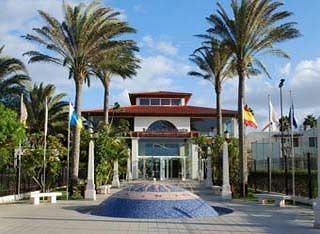 The elegant Arona Gran Hotel, from its privileged position on the seaside promenade, facing the island of La Gomera, offers beautiful views of the bay and the old fishing port of Los Cristianos and is only 4 km from the golf course. The Playa Real Resort is located close to the cosmopolitan Playa De Las Americas and is just 800 m from the popular Fanabe Beach. Gran Canaria (Disabled Holidays > Destinations > ATOL Holidays > Gran Canaria > All Hotels Gran Canaria) All Offers! 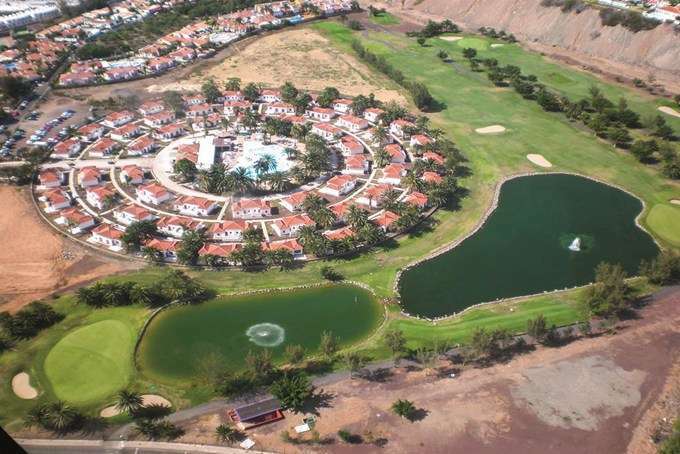 eï¿½ Suite Hotel Jardï¿½n Dorado is located in the golf course of Maspalomas, near the dunes of sand. It offers outdoor swimming pool and luxury junior suites with private garden, it has a small gymnasium, a sauna and, in winter, a heated swimming pool with hydro massage. Fuerteventura (Disabled Holidays > Destinations > ATOL Holidays > Fuerteventura > All Hotels Fuereventura) Offers! 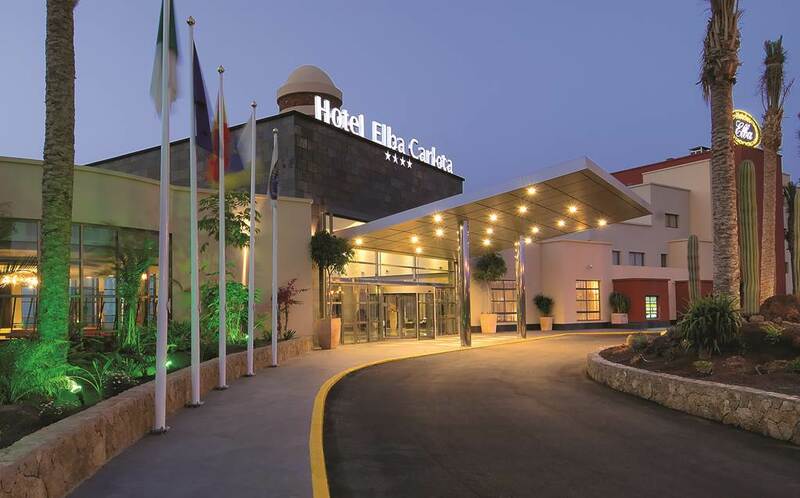 The Hotel Elba Carlota is a bit of a showstopper - perfectly located right on the beachfront and next to natural lakes, which are safe for swimming. The Barcelï¿½ Castillo Beach Resort hotel is located on the seafront of Caleta de Fuste beach, just 7 km from Fuerteventura airport. The island, which has been declared a UNESCO Biosphere Reserve, is well known for its 150 km of paradise beaches. 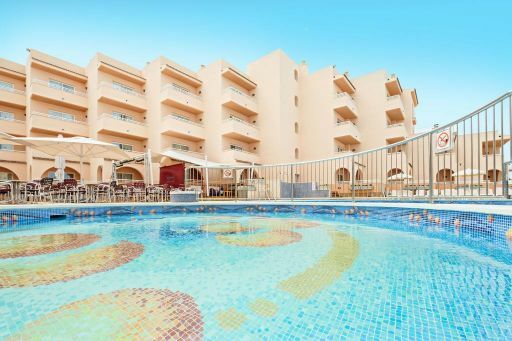 In one of the most privileged locations in all of Fuerteventura, next to the incredible dunes of Corralejo and the beaches of fine white sandï¿½ a resort rich in facilities and activities for all agesï¿½ High quality all-inclusive guaranteeing an unforgettable seaside holiday. City Breaks (Disabled Holidays > Destinations > ATOL Holidays > City Breaks) All City Break Offers! 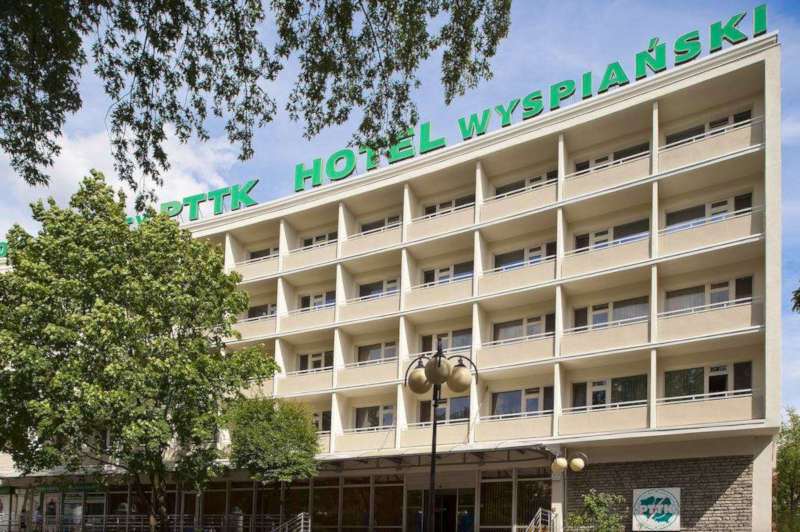 Facing the city`s mediaeval walls, the excellent 3-star Wyspianski Hotel is no more than a 3-minute stroll from Krakow`s historic Market Square. 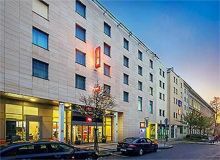 Ibis Praha Wenceslas Square is a 3-star hotel located in the historic part of Prague, 5 minutes' walk from the famous Wenceslas Square, National Museum, State Opera and Prague Convention centre. 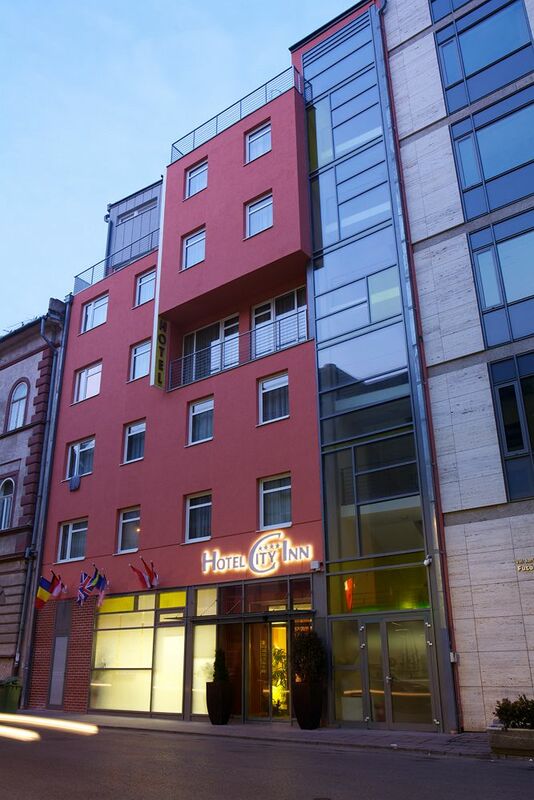 Located in Jozsefvaros, this hotel is within 1 mi (2 km) of Corvin Plaza and Hungarian National Museum. Gellert Thermal Baths and Swimming Pool and Hungarian State Opera House are also within 2 mi (3 km). Don't Forget - Our London Office is now OPEN, see our contact page for more info! If you need any Mobility Equipment hire we can help you out! See Mobility Equipment Hire Direct for more info! If you need any adapted transfers for your holiday see Wheelchair Accessible Holiday Taxis for more info! ADAPTED HOLIDAYS - SEE MORE LATEST ACCESSIBLE HOLIDAYS OFFERS! Disabled Access Holidays is the Number One travel agent for disabled people. We work alongside our sister companies Mobility Equipment Hire Direct ï¿½who is the worldï¿½s largest supplier of mobility equipment ï¿½and Wheelchair Accessible Holiday Taxis ï¿½the only dedicated accessible taxi site ï¿½to make your holiday as easy as possible as everything is packaged in. Want to see more of the world? With more than 1000 hotels and cruises on our website we can help you visit amazing destinations on your exclusive accessible holiday! The hotels and cruises are hand-picked by our dedicated sales team, who have thoroughly researched all of them to ensure your holiday is the best you will ever have. With destinations including Spain, Tenerife, Lanzarote, USA, Cuba, Malta, Cyprus and city breaks from Amsterdam, Barcelona, London, Madrid, Rome. With all of these fantastic destinations for you to choose from, we can offer you the best accessible holiday. Our holidays are carefully packaged together based on your needs. We donï¿½t just arrange holidays for wheelchair users, we accommodate people with different disabilities such as multiple sclerosis (MS), Parkinsonï¿½s disease, stroke and any other disabilities. The sales team at Disabled Access Holidays have researched all of the hotels facilities to see what the accessible adapted rooms have so our clients have the peace of mind about their adapted rooms. Our holidays may be called under different names as we arrange disabled holidays for clients around the world. You may see our holidays being called disabled holidays, accessible holidays, disabled holidays abroad, supported holidays, holidays for disabled, wheelchair friendly holidays and wheelchair accessible holidays. Whatever you wish to use, we will always be able to help you. Everything is included in the price quoted ï¿½Eflights, hotel and transfers! At Disabled Access Holidays we arrange different holidays for all our clients, All Inclusive accessible holidays, accessible city breaks and accessible cruises. To find your accessible holiday, see our search facility. See more information on disabled friendly holidays. For more information on our disabled holidays with guarenteed adapted rooms see our information pages below. Feel like relaxing and having peace of mind on holiday? Disabled Access Holidays can offer you some of our All Inclusive packages so you can go on holiday with everything being done for you. We have worked with our suppliers to get the best deals on our All Inclusive packages as we know that relaxing is just what you want.